eXsight Call Accounting for Unify Software and Cloud Services Solution offers a fully integrated software suite and optional set of managed services that provide companies with the ability to manage their current and planned Unify UC communications and Call Accounting environments. eXsight is a feature-rich call accounting for Unify solutions that provides complete visibility into presence, video, instant messaging, voice and other unified communication usage throughout the organization. eXsight’s Unify Call Accounting software works in both homogeneous and heterogeneous network and switch environments, including Unify, Cisco, Avaya, Microsoft Lync, Siemens, Panasonic, Alcatel-Lucent, NEC and others. eXsight call accounting solution supports the collection of CDR from traditional, hybrid or IP-based switches and unified communications solutions. 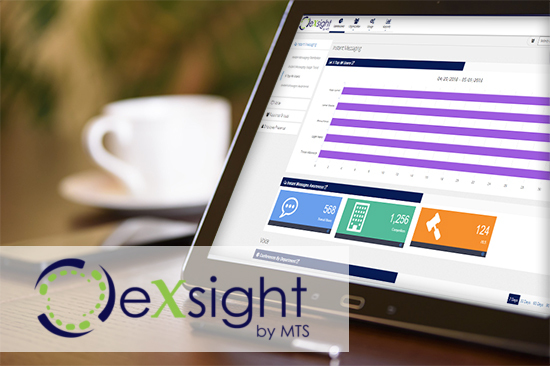 eXsight’s ability to centralized the collection and processing of all your corporate UC usage is key to delivering complete compliance and cost visibility into presence, instant messaging, voice and other unified communication usage throughout your organization.